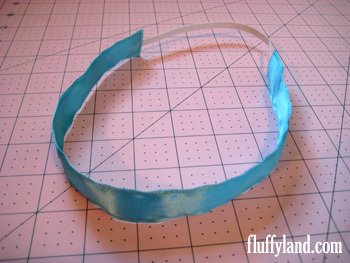 As I promised yesterday, here is a super quick and easy tutorial to teach you how to make a ribbon headband! This ribbon headband uses a small strip of elastic in the back to hold your hair better in place and, best of all, reduce the pain that typically prevents me from wearing headbands in the first place! Step 1: measure around your head where a headband would go. 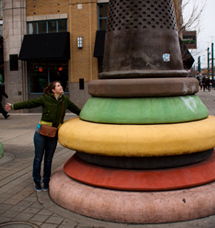 I got about 20 inches. 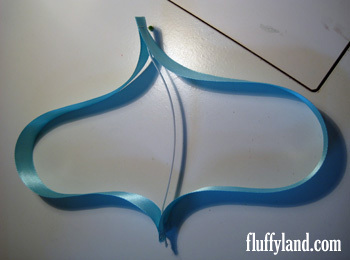 Step 2: Cut two pieces of ribbon to the same length, and cut a piece of elastic. 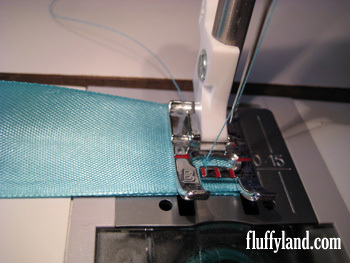 You can use the same ribbon, or even make it reversible! But the ribbons should be the same width. 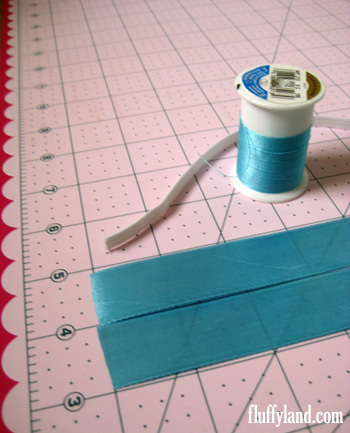 I cut my ribbon to 16 inches each piece, and my elastic to 7 inches… compare your measurement from step 1 to mine and decide whether you would want more or less of either. 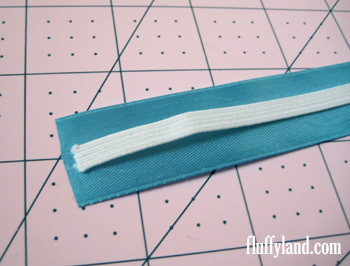 Step 3: Place one of your ribbon pieces right side up, and center the edge of your piece of elastic on top. 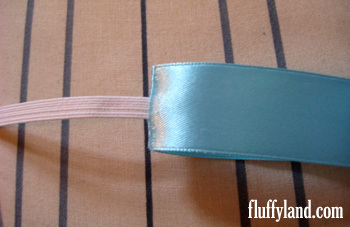 Step 4: Place the other piece of ribbon, right side down, on top of the elastic, to make a sandwich. Make sure it is well-aligned with the other piece of ribbon. 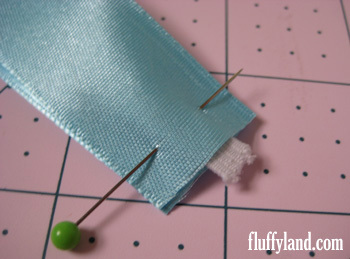 Pin in place, then stitch across. 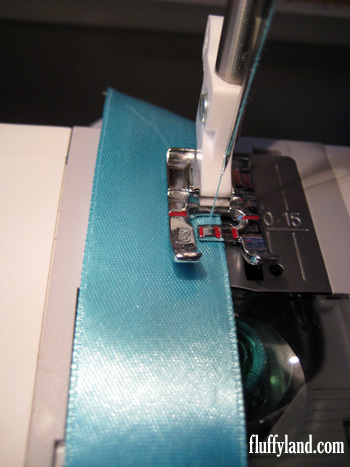 Step 7: Line up your ribbons so they are directly on top of each other, and topstitch close to each edge. Step 8: You may want to press your headband quickly again if topstitching caused any slight wrinkles, but otherwise, you’re done! Enjoy! I hope you liked this tutorial… these headbands are cute and simple, and would make a great gift accessory. I’d love to see pictures of your finished headbands! And, as always, your comments are welcomed and appreciated, so please let me know whether this tutorial was clear enough. Links back are very appreciated! Thanks! I was just getting around to making one of these for my blog, but since you beat me to it, I’ll just link them to yours! Thanks for the tutorial. You saved me some time today. Oh, I should post the link sometime tomorrow. It’s a bit more complicated, but would look nice! Love the how to! 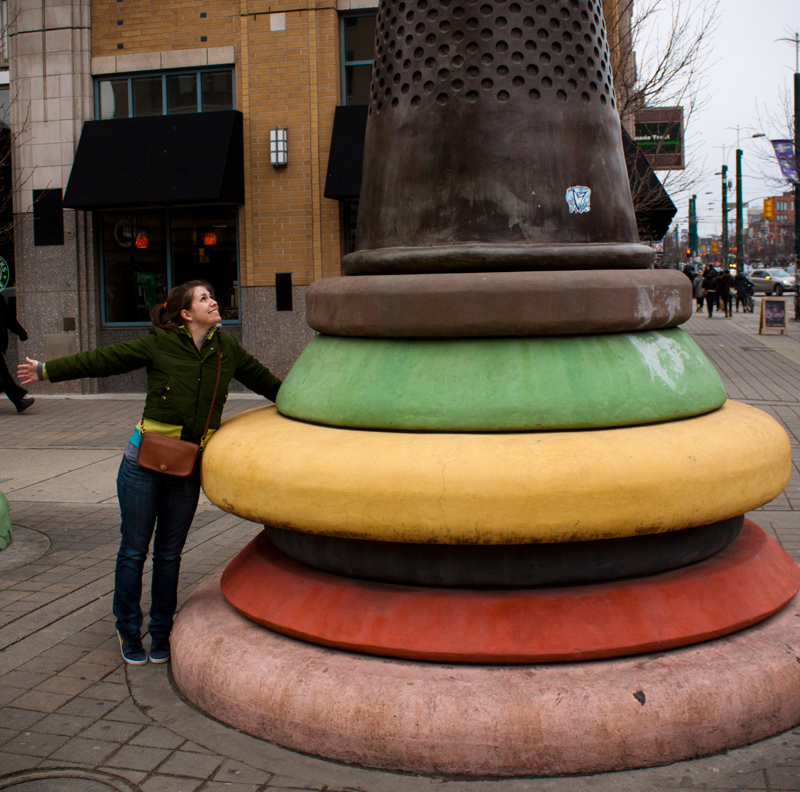 I know what I will be making when I get home! Great idea, and thanks for the pics so that people can follow the project step by step! It really is amazing all the different things that can be done with ribbon. Thanks for this great tutorial. I’ve added a link to it on my Ribbon Crafts lens on Squidoo. Thanks again. Great tutorial! This would be so cute with a thick decorative ribbon! I would love to put a link to this tutorial on my blog. Thanks for the great project!